It’s not uncommon you wake up and feel a sore spot on your inner cheeks, tip of your tongue or the edge of your lip. You see it’s a small white patch that keeps burning, itching, or stinging, its ready to produce strong pain whenever it’s touched by something. It’s nasty and annoying, since it has the ability to distract you from your daily tasks yet the most evil feature is how it can destroy the pleasure of eating especially when a cold lemonade or delicious spicy plate is on the menu. It’s the ‘Canker sore’ visiting you every now and then making your mouth sore with very unpleasant sensations, sometimes painful sometimes burning and most of the times both. Canker sores are very common with about 20% of individuals affected by it, and by far it’s the most common oral cavity condition. It affects more Caucasian individuals, targeting females more and very frequent in the period of adolescence between 10-20 years old. However, the etiology is quite foggy; scientists still couldn’t put definitive reasons, relating the occurrence to many factors such as stress, autoimmune deficiency and hormone changes are quite common in scientific literature. Moreover, canker sore is quite an old problem, being described since the old Hippocratic corpus in 4th century BC; the Chinese and Arabs wrote about it in their medical text books and in recent times it continued to occupy a big part of our dental texts and researches. This old history didn’t help in finding one certain solution that could eliminate the problem; we still need more research and knowledge about the canker sores. 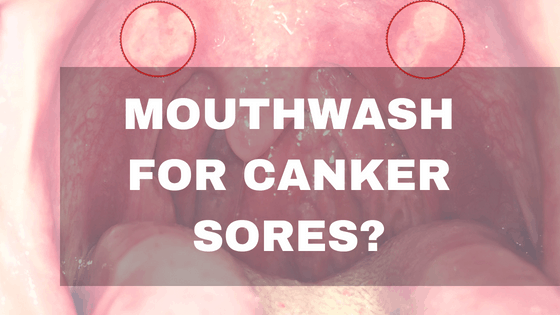 Some research does point towards mouthwash being a potential solution to help soothe canker sores, but does mouthwash help canker sores completely. If you read on you will find the answer you were looking for. Canker sores or more scientifically known as “Aphthous stomatitis” (from Greek; Aphtous: ulcer, Stomatitis: inflamed mouth): is a small ulcer or ulcers that occur inside the mouth on the mucous lining the oral cavity, its benign and non-contagious, meaning it has no risk to form into a malignant cancer or to be transmitted from one person to another. The ulcers are covered with a yellow-grey fibrinous membrane that can be scraped away surrounded by a reddish “halo” that are typically visible on the oral mucous membrane. The most common aphthae is the simple one and accounts for 95% of the cases, with 3-6 attacks per year, heal rapidly, are not very painful, and are restricted to the oral mucosa. The most famous, they account for up to 80-85% of the whole canker sore cases; they are less than 10 mm. The minor aphtous affect the mobile parts of your mouth (i.e. the labial and buccal mucosa, lateral borders of the tongue and the floor of the mouth). The healing process ends in seven to ten days with no scars. This type accounts for only 10% of the cases; they are the same as the minor apthous ulceration except they are bigger than 1 cm in size. The Major aphtous ulceration effect almost all parts of the mouth, they take longer to heal and might leave scars. these types resemble a primary infection with herpes simplex virus (herpes-like ulcerations). Nevertheless, herpetiform ulceration is not caused by herpes viruses so it’s not contagious but very painful and can effect all parts of the mouth; they are small (less than 1 cm) and effect older people with females more prone to it. How Do People Get Canker Sores? The cause of Aphthae Stomatitis has always been a mystery. Many people put weird theories; others put some logic in it. However, the advancement of medicine has helped us better understand the etiology of Canker sores and the best ways to manage it. Occurrence is spontaneous and might be related to factors such as genetics, stress or depression or just a weakened immunity (e.g. seasonal flu). Parafunctional habits such as lip biting or cheek biting might trigger a canker sores episode. Changes in the hormones and the structure of the mucus membrane. Deficiencies in multiple vitamins and minerals such as Vitamin B9, B12, Iron and other. If you are a smoker you might add this in the list of “why you should quit smoking?”, since smoking increase the keratinization of the mucosa leading to more prone tissue to canker sores and painful episodes. This type of Aphthae Stomatitis might be triggered by many chemical agents such as different allergens that exist in the food we ingest daily; milk products, nuts or chocolate are strong examples. Other chemical substances are found in the products we use every day such as Sodium lauryl sulphate that is commonly found in tooth pastes and mouthwash. Occurrence here is due to a systemic condition that results in ulcers in the mouth, it might be accompanied with genital or conjunctiva ulcers. These episodes are more frequent and painful than the primary Aphtous stomatitis and usually it’s accompanied with pain in other parts of the body. In this case medical control is needed to identify the etiology and resolution of the systemic disease often leads to decreased severity and frequency of the aphthae stomatitis. The secondary Aphtous is often referred as Recurrent Aphthous Stomatitis (RAS), it affects older people and is one of the most common painful oral mucosal conditions seen among patients. These are present as recurrent, multiple, small, round, or ovoid ulcers, with circumscribed margins, having yellow or grey floors and are surrounded by erythematous halos (red halos). As mentioned above, canker sores are quite common, we all had one at some point in our lives, and it definitely reduces the quality of life for a couple of days before it disappears, THIS IS EXACTLY THE POINT; canker sores heal by themselves in a maximum of 10 days and no medical intervention is needed. However, the pain, the reduced appetite or the intensive marketing might put you at the point of purchasing a treatment. This choice really confronts you with hundreds if not thousands of products which all claim to heal and kill that annoying burning spot. Moreover, marketing has made it harder for you to realise what is real and what is fake. Scientifically, there are no definitive agreed treatments for ulcers, what is agreed upon is that no therapy is curative, treatments available are aiming to relieve pain, promote healing and reduce the frequency of episodes of ulceration. It’s One of the main therapeutic options available. It’s basically a liquid that you can gargle with for some time, in order to improve the hygiene of the oral cavity. It can be very simply made from water and table salt to more complicated versions including chemicals that have antimicrobial (Antiseptic), anti-swelling (Anti-inflammatory) and analgesic affects. 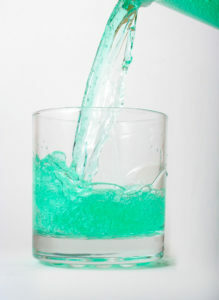 Mouthwash substances are also used to treat bad mouth breath (halitosis) or to neutralise acid and keep the mouth moist. If it has an antimicrobial effect (containing chlorhexidine or tetracycline): it reduces the bacterial agents in the mouth which in turn cleans the area and limits the spread of germs. If it has analgesics affects (containing 0.5% minocycline, decoction prepared with Nicotiana tabacum leaves, Benzydamine hydrochloride, lidocaine): it will help reduce the pain significantly. In case of simple Aphtous Stomatitis or canker sore just a simple salt and water mouthwash is enough (1 cup of water/2 table spoon of table salt). You want to stay away from Alcohol based mouthwashes because they do more harm than good! You should instead opt for an oil based rinse that has essential oils. Research has been carried out pointing to the powerful effects these can have on oral bacteria, not only do they inhibit their growth but they also act as anti inflammatory agents keeping your gums healthy. 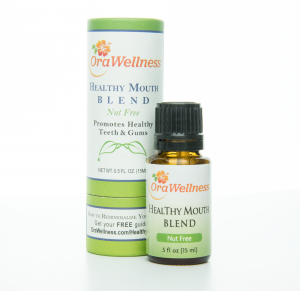 Our personal favourite is the Orawellness Healthy Mouth Blend because it ticks all the right boxes and gets the job done efficiently, especially if you have a canker sore. Neglecting your daily routine of brushing and flossing twice might agitate the canker sore and make it more painful, it might be painful to brush near the ulcer but quitting the brush might cause other symptoms such as plaque buildup, bad breath and caries. However, be gentle when brushing or flossing your teeth, replacing your medium or hard bristle brush with a soft one might avoid exaggerated pain. Acidic beverages and Food loaded with spices or artificial tasters can trigger the ulcers to produce sharp episode of pain. You might further adjust your diet during the episode of Aphthous Stomatitis and avoid nuts, chocolate, citrus fruits, and alcoholic or carbonated beverages. Smoking can worsen the situation of the existing canker sore, it might delay the healing time of the canker sore and trigger a new one in different spot. Dental care products that contain sodium lauryl sulphate might be the cause of Aphtous stomatitis. Some researchers suggest that weak diet can cause mouth ulcers, make sure you eat enough fibres, vitamins (especially vitamin B12, vitamin C, Folic acid and Iron) those substances can strengthen your immunity and the structure of your mucous tissue. 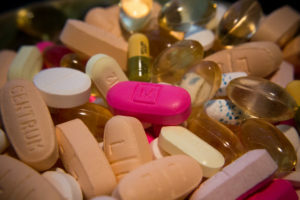 there are different home-made recommendations that promise to ease the pain and target the ulcers, some of those techniques are true and some are fake, always do your research and make sure these mixtures don’t cause any harm. However, there are some stuff that proved to work especially with pain management and disinfection. You can try to ease the pain by using ice on the canker sore to numb the pain sensation or using clove oil as an anaesthetic on the affected area, clove oil is known for its strong anaesthetic properties. Iodine solution is good for disinfecting the canker sore; with small cotton you can apply little drops on the ulcer. Unfortunately, there is no way or medication that can eliminate canker sores permanently, everything marketed as such is not scientifically approved. What we know however are some tricks to reduce its frequency and monitoring it whenever it’s going to develop into a serious condition. Important practices like keeping your oral hygiene perfect will further protect you from this ugly ulcer inflammation. Keep that habit of brushing your teeth twice a day, flossing after each meal and use the mouthwash. Keep your mouth safe from traumas: mechanical trauma like biting on your cheeks or lips could turn to ulcer or thermal trauma when you eat very hot food or beverages that could cause burns. And choose to stay away of irritant products such as alcohol, smoking, spices and always keep yourself in harmony with nature and drink chamomile tea that is famous for its anti-inflammatory properties. Canker sores can be painful and irritating, especially if they happen often. Keeping track of when they happen and any possible triggers may help someone to work out if there is an underlying cause that can be avoided. Even with the development of medicine, we are still not able to find the definitive treatment for canker sores, many mixtures and substances helped us manage these ulcers but none allowed us to permanently stop the canker sores from recurring. Mouthwash does help to relive the pain and soreness associated with canker sores but make sure you use an alcohol free mouthwash preferably oil based. Canker sores are not alarming condition, in most cases they come and disappear by them self. 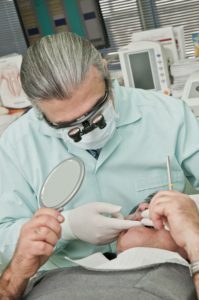 You might consider consulting your dentist when an exaggerated pain is exhibited or when the ulcer is resistant for more than 2-3 weeks. Beware when you have the ulcer in your mouth together with other parts in your body such as your genital area or conjunctiva, this is a call for an immediate medical consultation especially when you feel tired, feverish or have a stomach pain. As this can be a sign of the secondary Aphthae due to diseases such as herpes, Behçet’s disease, Celiac disease, Cyclic neutropenia, nutritional deficiencies, IgA deficiency, Immunocompromised states (HIV/AIDS), Inflammatory bowel disease. I do have to say when I saw this title it automatically caught my attention even though I was looking for any information on canker sores! “Occurrence is spontaneous and might be related to factors such as genetics, stress or depression or just a weakened immunity”. If that was true I guess I would have them all the time… I am just one large messy ball of stress and depression. Interesting information… Are there other oral mouthwashes that can be used other then Orawellness Healthy Mouth Blend? Can they be found in a drug store? or just online? I’m not aware of anything similar to the healthy mouth blend being available in stores but im sure if you looked around you would find something close. If not you could just get the essential oils separately and mix them together to create a mouth rinse. Works just as well. Ouch! This really does sound terrible but at least it is not cancerous or contagious. I personally have never suffered from canker sores but do often struggle with other problems like tooth sensitivity and randomly biting my cheeks and tongue. It is also helpful to know that mouthwash can alleviate some of the pain. This kind of information is very useful. Even if you are not prone to it you probably will meet someone who is and now you are a little bit wiser and can offer your two cents! I also believe that the type of mouthwash you use is also important. Alcohol mouthwashes are something i would avoid. The only time i would use them is straight after a major dental surgery to prevent more infection. Any other time i tend to use alcohol free rinses. Hey Teeth man, your post was very helpful and it was awesome. First, I want to say that I really did learn a lot from your post especially that canker sores are developed via smoking which I had no idea. Thankfully, I don’t smoke. Second, I didn’t know that mouthwash relieve or kills canker sores which is a great little tidbit of knowledge because I had a canker sore once and I don’t know how I ended up with it but this would’ve came in handy for that then but I’m going to save this because it is going to be useful when I know someone who has a canker sore. Good job, awesome post! Interesting that medical science still hasn’t found the cause of canker sores. When my family and I have suffer from canker sores we use a clove oil based remedy and usually within a day or two the sore disappears. As you mention they often come as a result of accidentally biting the cheek or tongue. We don’t do it on purpose. One thing that I noticed is that you don’t recommend using an alcohol based mouth wash. I’ve been using alcohol based mouth washes 2x a day for many, many years and have not experienced any negative effects. Why are you so strongly opposed to this? Great article, thanks for all the information. It’s only through learning about the different aspects of the mouth did i come to this conclusion. Alcohol dries the mouth out and that in turn causes more bacteria to populate and cause bad breath. Some studies have even related alcohol rinses with cancer although more research is required. Ouch! I haven’t had a canker sore in many years but just reading through this brought back memories of the pain! They do indeed hurt. I remember using a salt and water combo before, sea salt I believe. Does the type of salt make a difference? What about warm water? Really enjoyed this read, your site is great. I will be back most definitely! I know there are some salts that have more nutrients and minerals which could make them a better choice but really you could use basic table salt and mix it with water and that should do the job nicely :). Luke warm water should be fine. Too cold and the salt won’t dissolve easily. 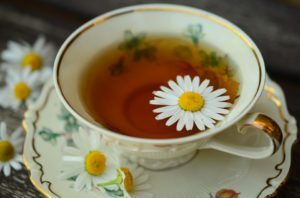 It was good to read this information about Canker Sores and that Camomile Tea would help soothe the condition. The Healthy Mouth Wash Blend sounds a perfect solution to me as it is made with natural ingredients or better still salt water as we all have that readily available and it won’t stain our teeth. Thanks Kenny, i appreciate the kind words. We are constantly improving the website and creating a better user experience so do please bookmark this site because we update daily.